One hundred acres of sand dunes, wetlands and forests soon will become part of Ludington State Park in Mason County, Michigan. The Michigan Department of Natural Resources announced it has purchased the land and mineral resources from Sargent Minerals-Ludington, LLC—commonly known as Sargent Sands—a Michigan-based company, permanently preserving the property for public recreation. 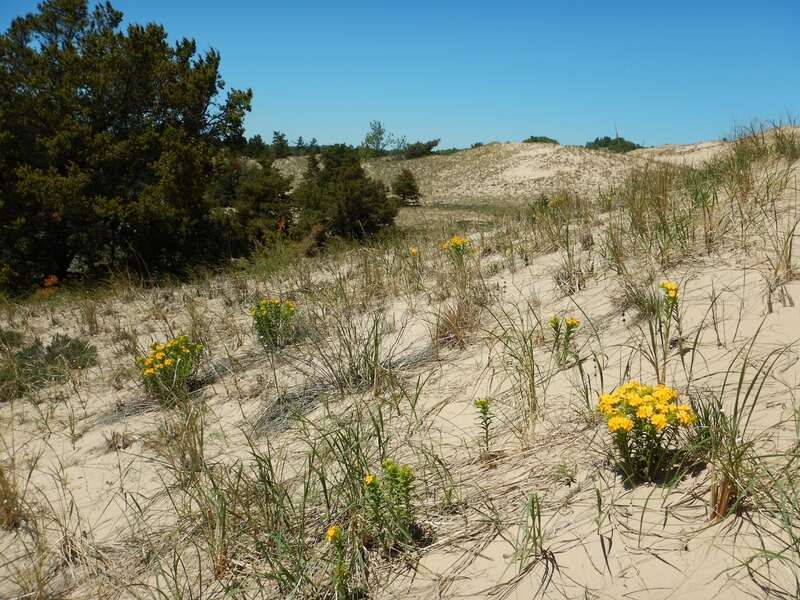 The 100 acres, adjacent to Ludington State Park, are comprised of sand dunes—about 60 acres of which have never been altered. The property is located in the northern section of a larger 372 acres that have been mined for sand for decades. Although surrounded by park land on three sides, the Sargent property is not yet part of Ludington State Park, where mining does not occur. According to Ron Olson, DNR Parks and Recreation Division chief, the department will establish a public planning process to determine how present and future recreational use of the newly acquired 100 acres fits into Ludington State Park’s overall management plan. Olson says public input, at every stage, is an important part of the DNR’s statewide park management planning process. While active mining continues in the holding, much of the remaining land already has been mined and reclaimed by the company. The mining operation is operated on-site under a permit issued by the Michigan Department of Environmental Quality. The reclamation of mined lands is a requirement of the permit, which expires December 31, 2021, and can be renewed. The $17 million acquisition of the 100-acre parcel will be funded by the Michigan Natural Resources Trust Fund, the Michigan State Park Endowment Fund, the Land Exchange Facilitation Fund—sources managed by the DNR or by an independent board associated with the department—and by commitments of $1 million each from The Nature Conservancy and the Charles Stewart Mott Foundation. “The Nature Conservancy is thrilled to help protect this beautiful property as part of Ludington State Park for all of Michigan’s residents and visitors to enjoy,” says Helen Taylor, the conservancy’s state director for Michigan. The Sargent land contains sand resources, an on-site processing plant and two lakes created by the mining operations. The DNR has retained $1.3 million in Michigan Natural Resources Trust Fund grants as part of the cost for a potential future acquisition. Other sources, including private donations, are also being sought.